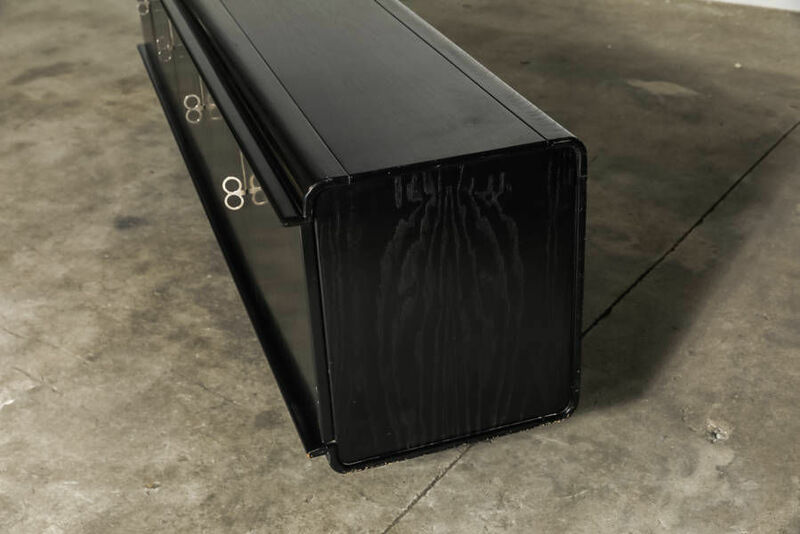 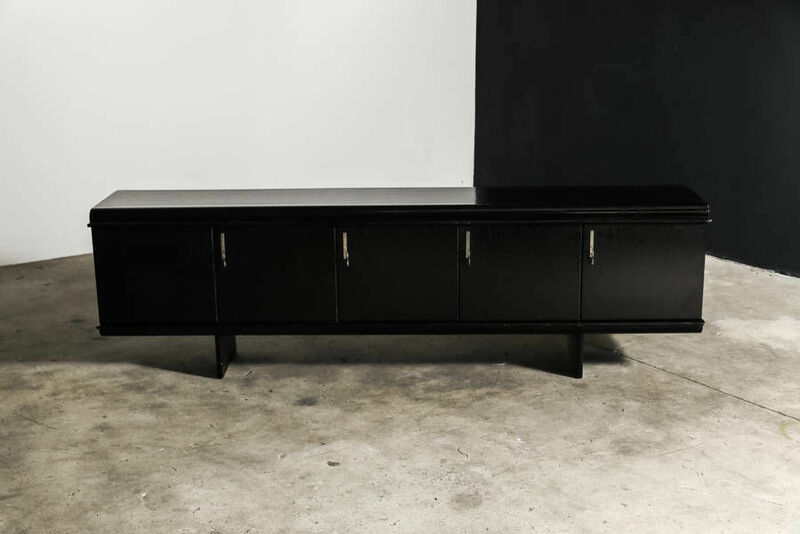 Italian 1960s Sideboard Pellicano by Vittorio Introini | Castorina & Co. 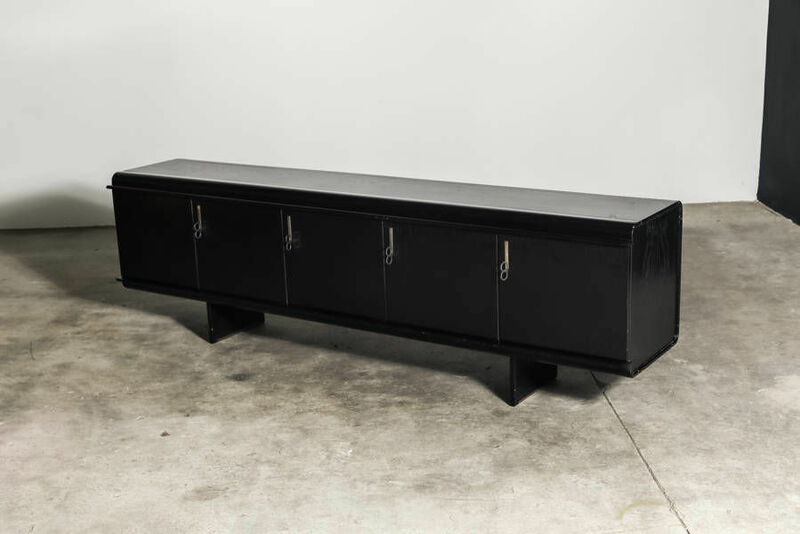 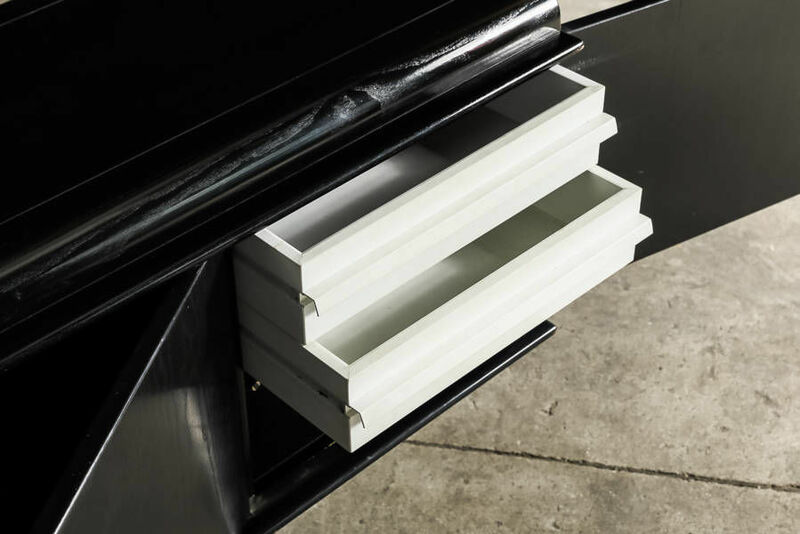 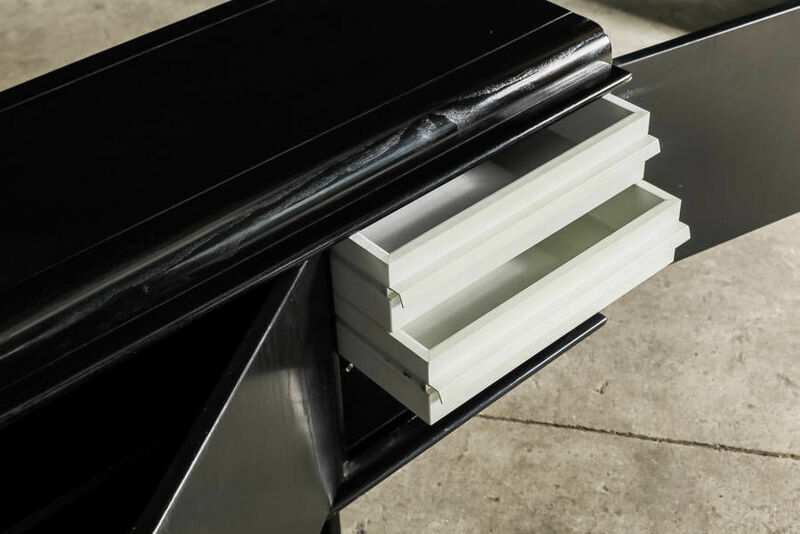 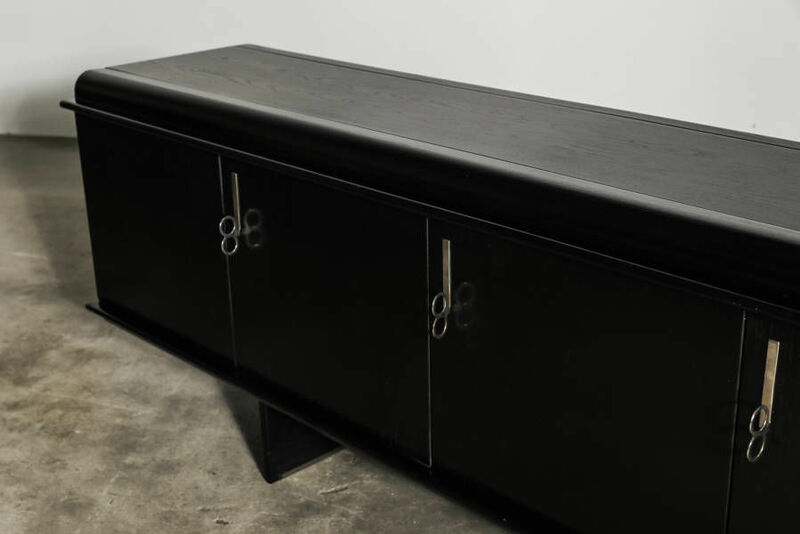 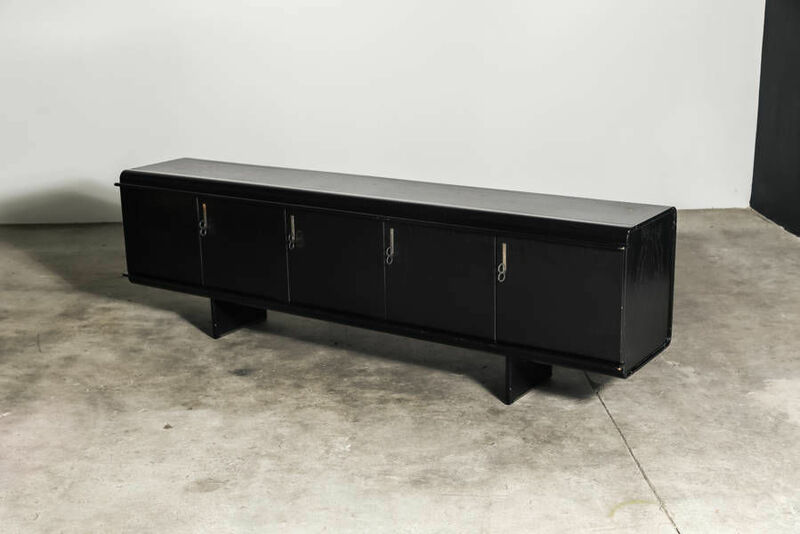 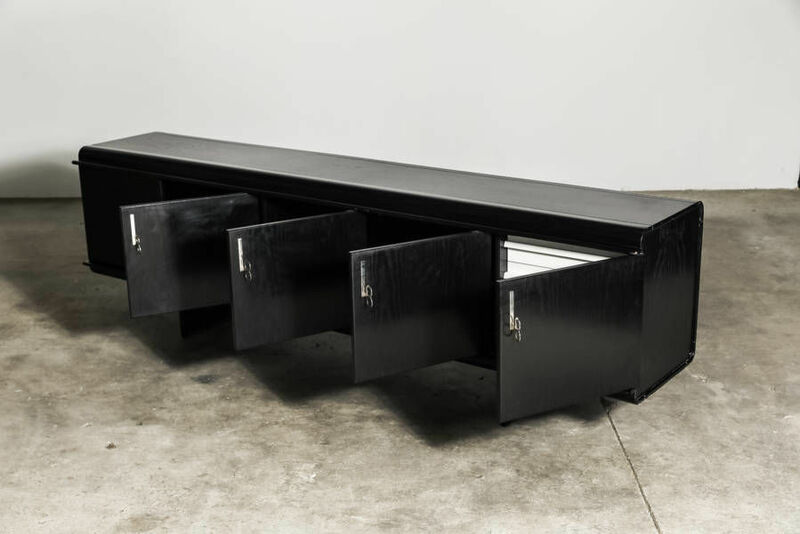 Exceptional "Pellicano" credenza by Vittorio Introini for Saporiti, Circa 1969. 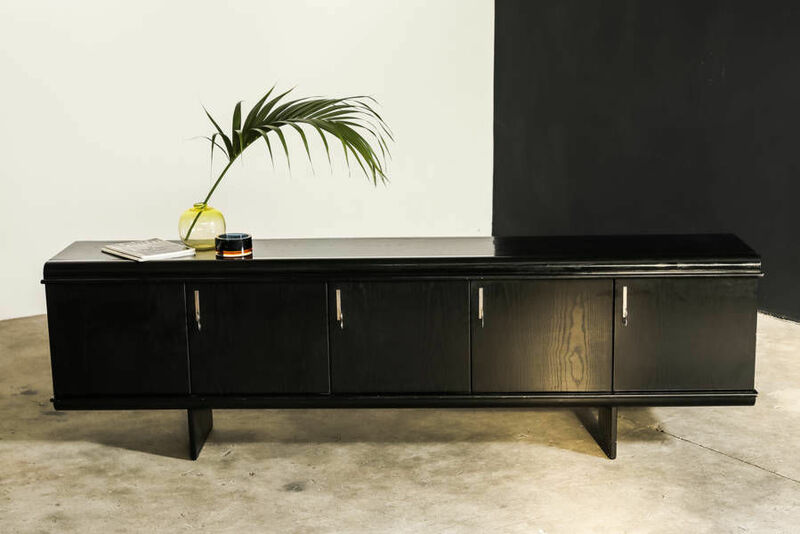 This free -standing sideboard has four doors with shelves and drawers. 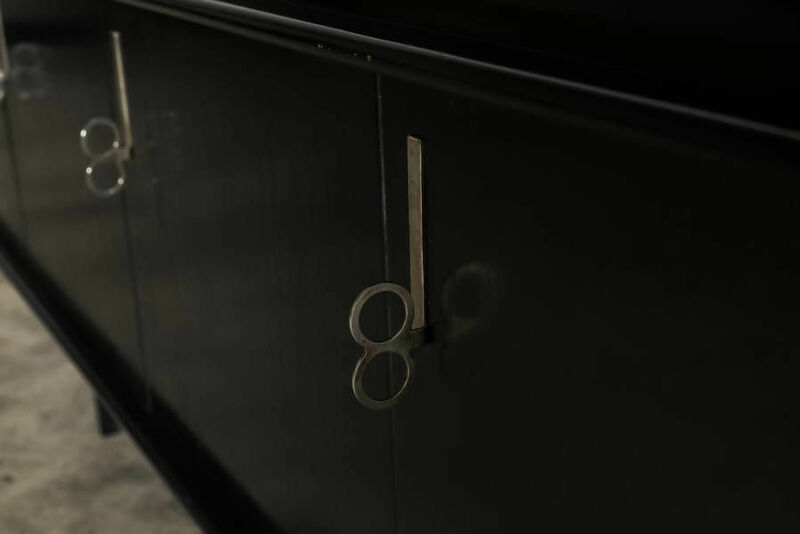 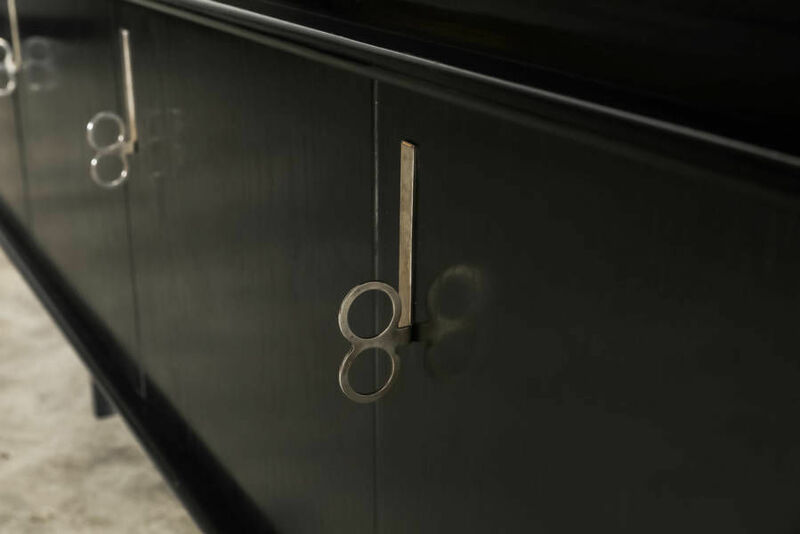 The front of the sideboard is beautifully detailed with curved edge panelling to the top and bottom of the door panels and finished elegantly with metal handles.